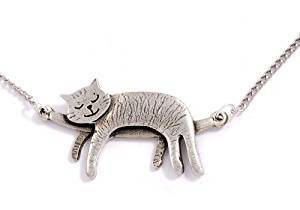 Sleeping cat necklace 18″- An embossed pewter sleeping cat on a tin-plated curb chain. Back in 2010 St Justin held a free work experience course with students of Mounts Bay School, Penzance. 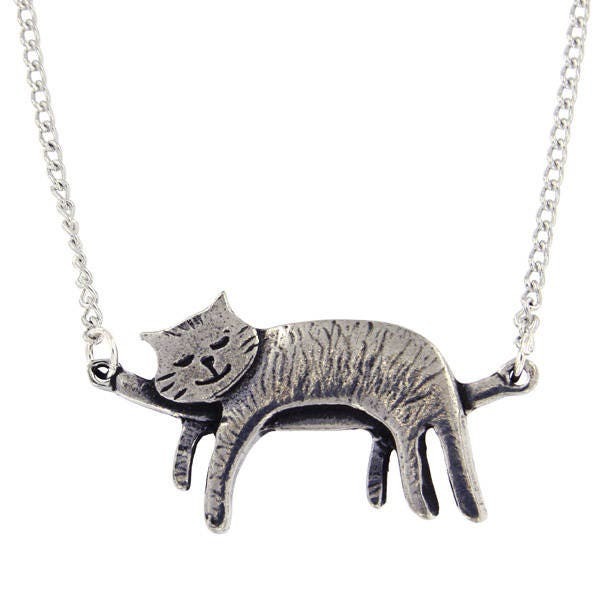 since become one of our most popular items. This and all other item comes with a lifetime guarantee.